The oldest IB World School in Africa is sending volunteer educators to help teachers in the Kakuma refugee camp complete the first stage of their teaching qualification. The Kakuma refugee camp in Kenya is home to 183,543 people including a majority of school-age children. In the camp, one teacher can be teaching up to 200 students at a time and education is the only way out. The camp was created in 1992 for those fleeing conflict in Sudan, Ethiopia and Somalia. Since then, it has grown to nearly four times its intended capacity of 58,000 and the camp is in need of qualified teachers to teach the growing number of refugee children. In response to this crisis, a teacher training programme has been set up as an online blended learning platform to train new secondary teachers in the Kakuma refugee camp. 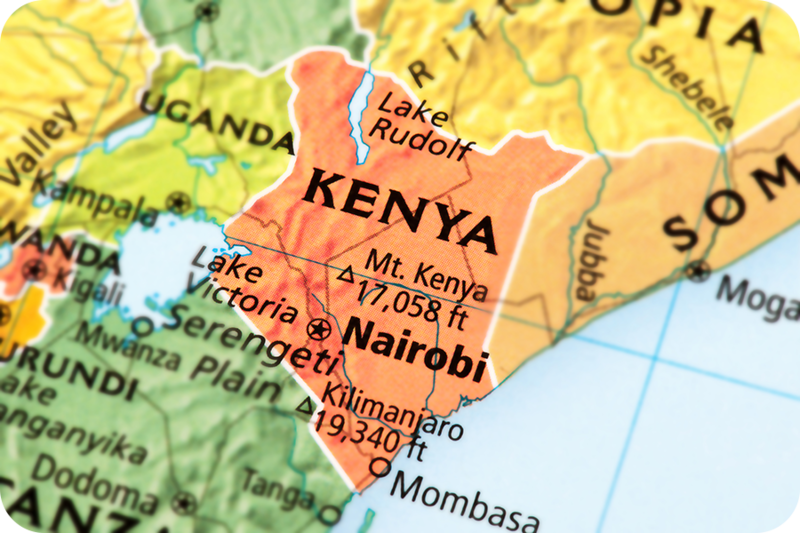 The training programme is a shared initiative between the International School of Moshi (ISM), Utrecht University of Applied Sciences, Windle Trust, Xavier Projects, UNHCR, UNESCO and Moi University in Nairobi. As a teacher working at International School Moshi in Tanzania, I am particularly concerned with the education crisis taking place in East African refugee camps such as Kakuma. Along with other ISM teachers, I volunteer as a mentor for the teacher training programme to help refugee teachers in the camp complete the first stage of their teaching qualification. I guide them through a four-month online course introducing them to teaching techniques, classroom management, student and staff welfare. Besides the regular pedagogy, there are also specific modules such as ‘Dealing with traumatized students’ that address the challenges of teaching refugee students. In addition to the online mentoring, there are opportunities for face-to-face training workshops at Kakuma refugee camp. As an IB World School, we encourage students, parents and staff to be caring (one of the ten attributes from the IB learner profile) by committing to community service and taking action to make a positive difference in the lives of others and in the world around us. The teacher training project illustrates how IB values are brought to life not only in our school but throughout the wider community, showing our students that these values run long after finishing school and into our everyday lives. 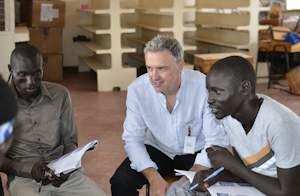 Gareth Jacobson, Head of Primary at IS Moshi Arusha Campus visits Kakuma refugee camp. Photo courtesy of IS Moshi. ISM hopes to be able to expand this project to include scholarships for refugee students to join our IB Diploma Programme with the African Leadership Scholarship. If successful, we will be able to offer the Diploma Programme to outstanding refugee students showing leadership qualities so that they help secure a more peaceful future for their community and country after they complete their education. Florence Larpent is the MYP Coordinator at International School Moshi (Arusha Campus), the oldest IB World School in Africa situated at the bottom of Africa’s highest mountain, Kilimanjaro. As a ground-breaking school, ISM is now on a journey to become a United World College (UWC), being only the second in Africa after Swaziland, representing UWC’s values of peace and cultural understanding. Learn more about the IB’s work in the region at ibo.org/Africa.